Note: BlueJeans onVideo is now BlueJeans Meetings. Take a look at the BlueJeans Meeting page for updated information on this solution. This page is no longer being updated and is for reference purposes only. 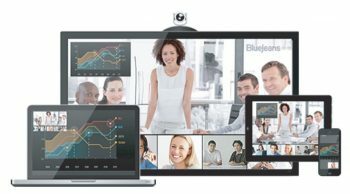 BlueJeans onVideo provides secure video meetings and screen sharing for up to 100 participants, with computer and dial-in audio, unlimited cloud recording and screening, and central management. Delivering a simple user experience for employees and guests, onVideo has no hardware to install or manage and provides real-time intelligence for visualising, measuring and managing meetings and calculating ROI. You can join a BlueJeans onVideo meeting from your laptop, mobile or any Video Conferencing room system, and start holding HD Video meetings with screen sharing, so everyone can share their latest presentations, documents and videos in up to 1080p HD. With easy access with SSO (single sign-on), calendar support and one-click video, everyone can access the onVideo platform from BlueJeans simply and securely. The BlueJeans onVideo solution is powered by the BlueJeans Enterprise Video Cloud, and provides all the features needed to get going with cloud based Video in your organisation. 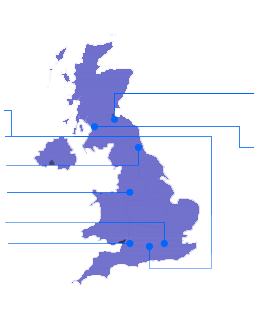 Get in contact with us today to discuss BlueJeans in more detail.